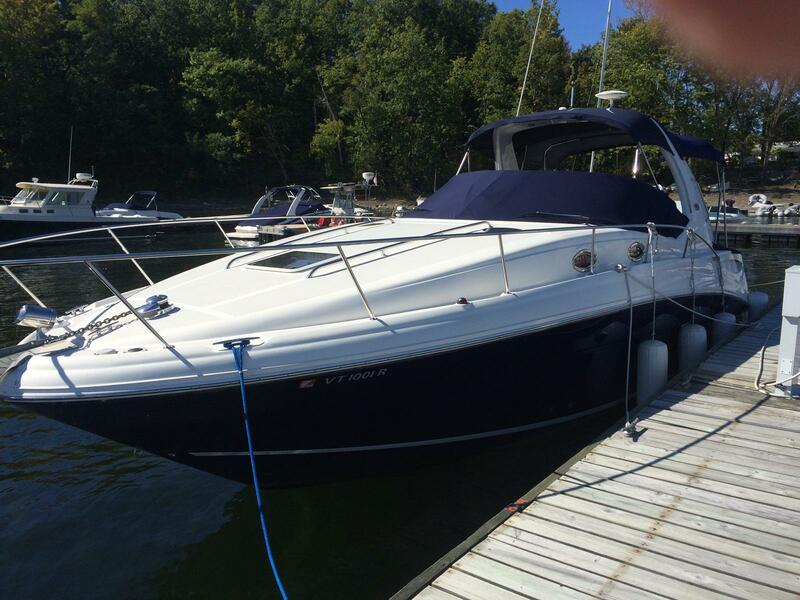 New Listing - exclusively a freshwater use boat. 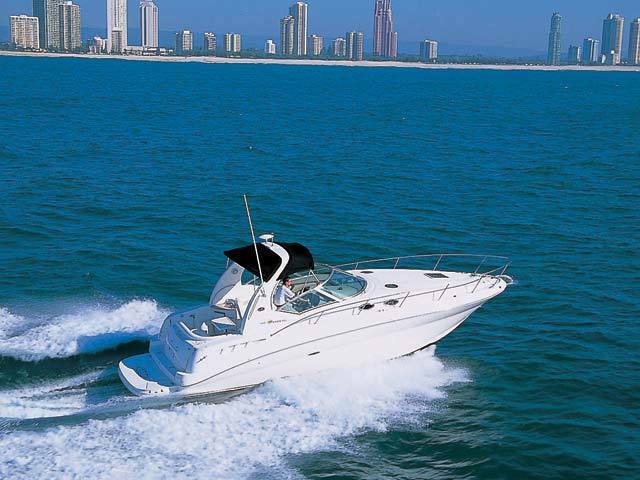 Powered with twin Mercruiser 350 MAG Horizon V-Drive (300 hp each). 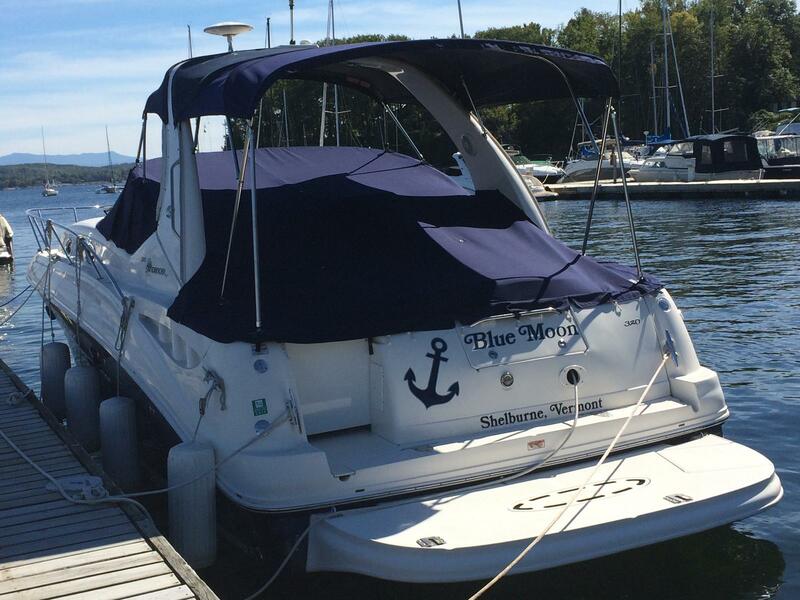 This boat is off site and can be seen by appointment. Please call to arrange showing, or for more detailed information. Thank you. 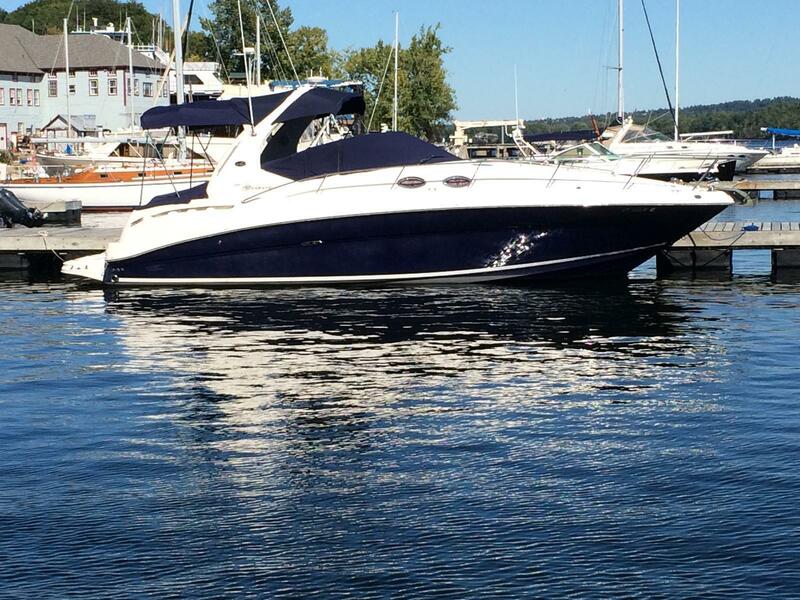 There?s nothing quite like the exhilarating new profile of this sleek 320 Sundancer. Its dramatic lines and bold colors make everything else look like it?s sitting still. 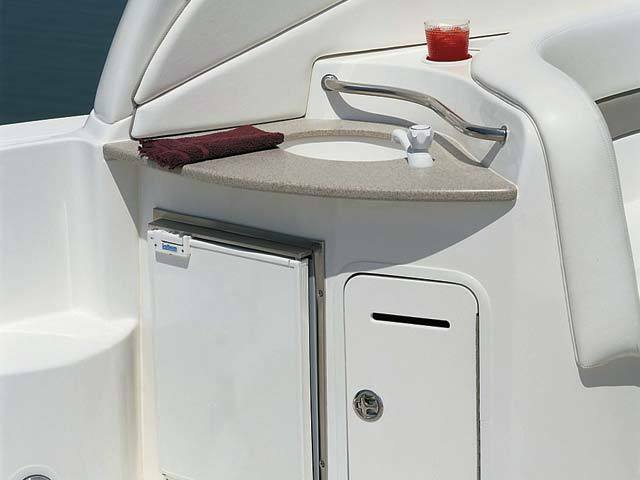 Exciting new features include cockpit wet bar with Corian® counter, extra-wide bench-style helm seating with two flip-up thigh-rise bolsters, optional underwater swim platform lighting, premium cabin surround sound and lots more. 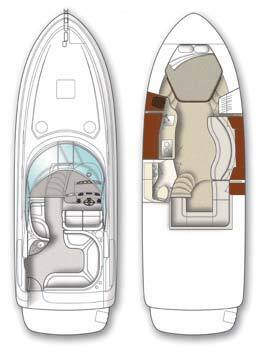 Choice of stern drive or inboard propulsion. 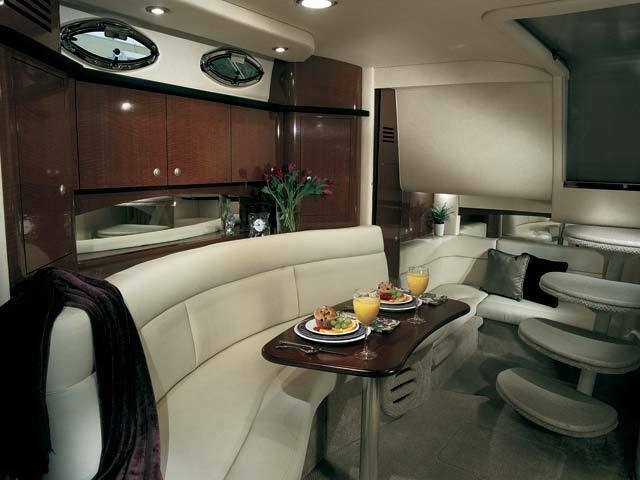 Cockpit wet bar with Corian® countertop and room for an optional refrigerator or icemaker. 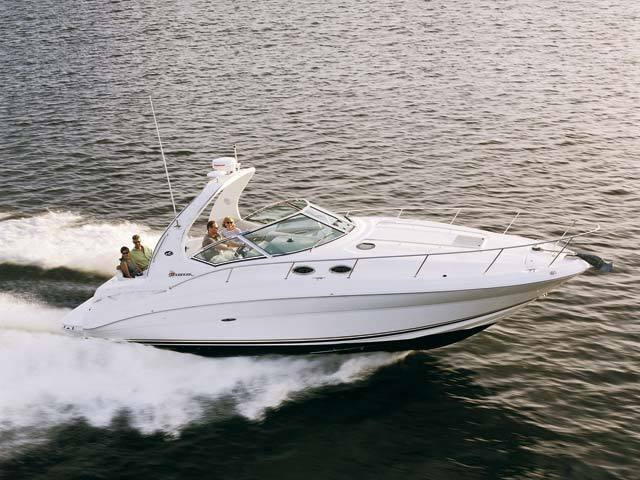 Dual shift and throttle controls (standard on stern drives and V-Drives). Enormous electrically actuated engine access hatch for easy access to the engine room. 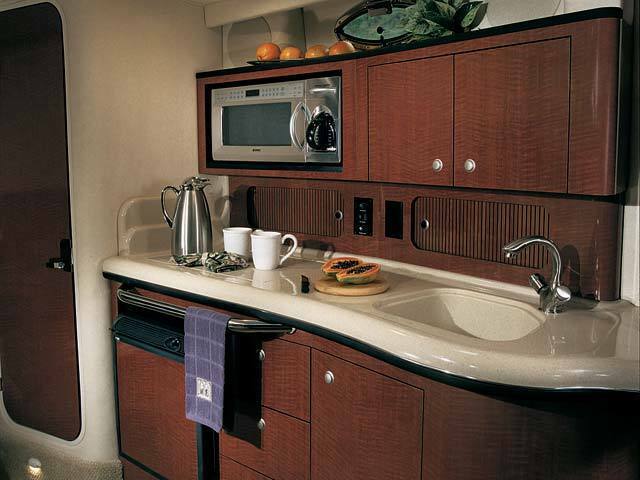 Enormous galley countertop and abundant storage above and below. Large extended swim platform - sculpted to look like an integral part of the hull. Large mirrors throughout the cabin. Optional 23" flatscreen TV in salon. 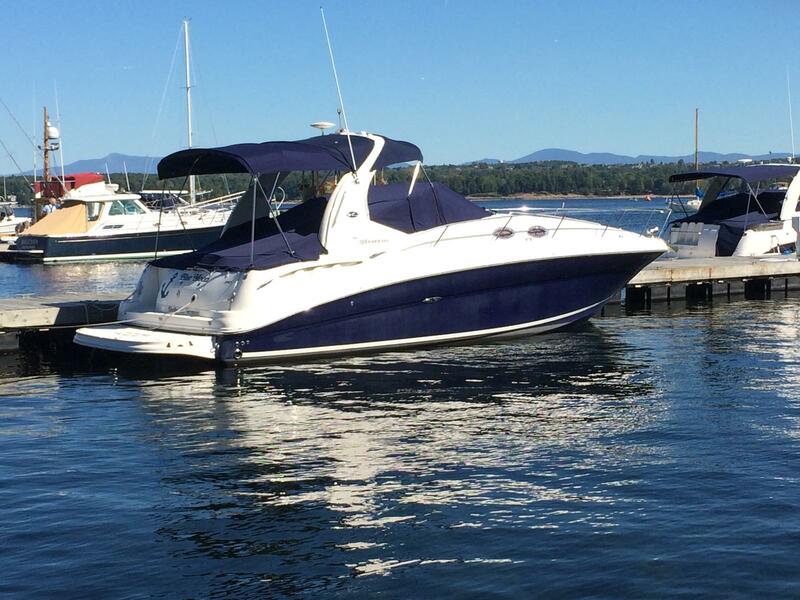 Optional bow thruster for enhanced maneuverability around the dock. Optional mid-cabin flip-down LCD TV with remote DVD player and wireless headphones. 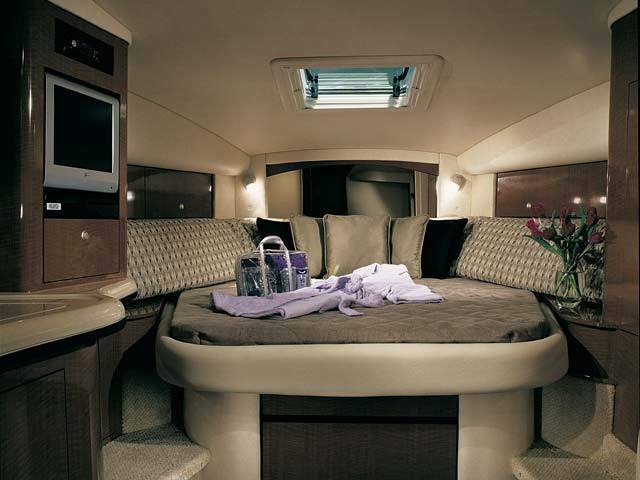 Optional premium cabin sound system - AM/FM/CD/DVD player (separate from cockpit), upgraded speakers, amplifiers, subwoofer, and TV surround sound. 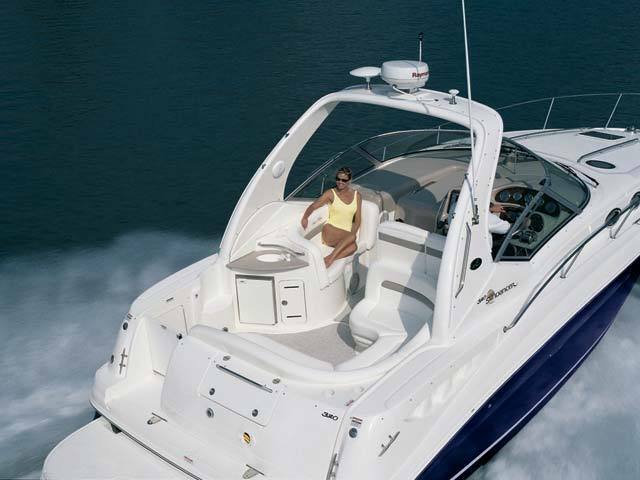 Optional Raymarine® electronics with color displays. Optional stainless steel windshield frame. Optional teak galley floor and companionway steps. Optional underwater swim platform lighting. Standard 15" flatscreen TV with remote DVD player. 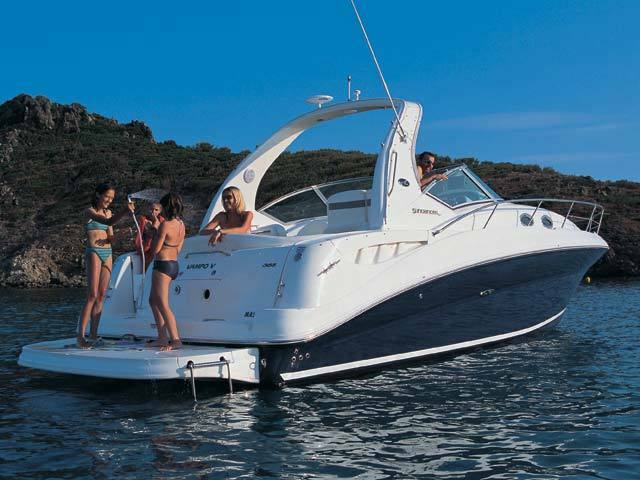 Standard SmartCraft? Diagnostics with optional upgrades.